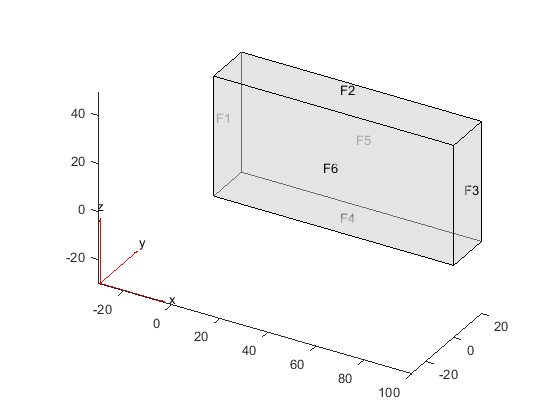 A SteadyStateThermalResults object contains the temperature and temperature gradient values in a form convenient for plotting and postprocessing. The temperature and its gradients are calculated at the nodes of the triangular or tetrahedral mesh generated by generateMesh. Temperature values at the nodes appear in the Temperature property. 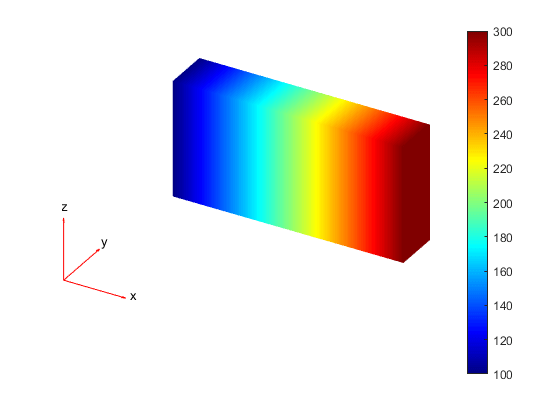 The three components of the temperature gradient at the nodes appear in the XGradients, YGradients, and ZGradients properties. To interpolate the temperature or its gradients to a custom grid (for example, specified by meshgrid), use interpolateTemperature or evaluateTemperatureGradient. Solve a steady-state thermal problem using the solve function. This function returns a steady-state thermal solution as a SteadyStateThermalResults object. Temperature values at nodes, returned as a vector. x-component of the temperature gradient at nodes, returned as a vector. y-component of the temperature gradient at nodes, returned as a vector. z-component of the temperature gradient at nodes, returned as a vector.